Today we're bringing you another guest post, this time from Nick. If you don't know who Nick is, well, then this is probably your first time to this this blog. If so, read this. Thanks, Nick! Thanks for having me guest post! 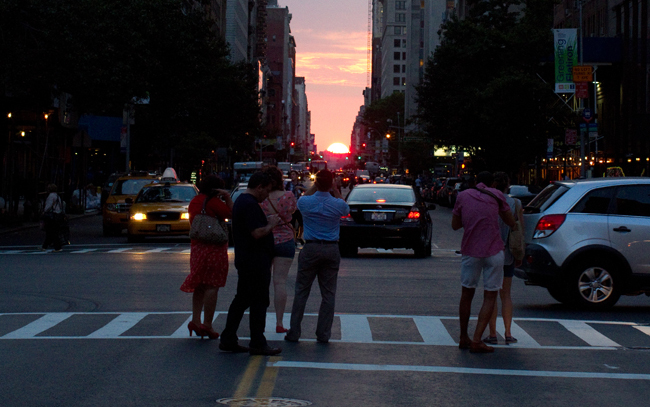 I wanted to share some of my photos I took the of Manhattanhenge this past Wednesday. 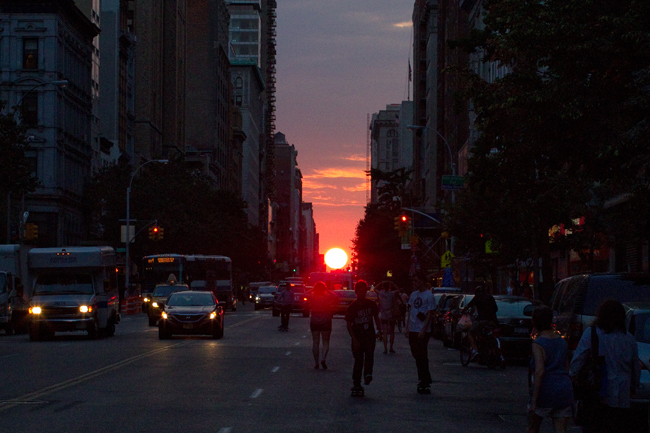 In a nutshell, Manhattanhenge it is when the setting sun lines up perfectly with the east-west streets of Manhattan. It happens only twice a year and it would be easy to miss...I was amazed how quickly it passed. The sun started lining up at 8:20pm and there is only about a 3-5 minute window where it is front and center. 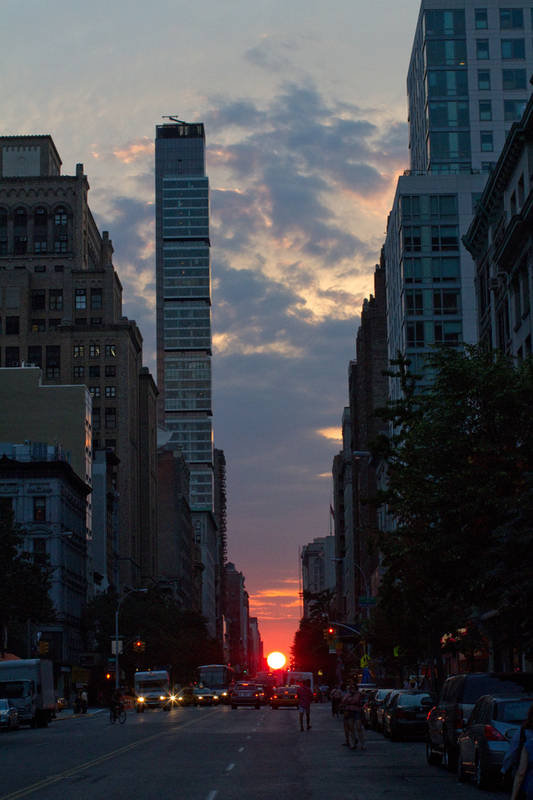 I took these photos with my friend Mike at 23th Street and 3rd Ave. Enjoy! Nick - these photos are super cool! How did you find out that that Manhattanedge was taking place? My friend MIke told me about it. And said we should go shoot it! very cool, I never heard about this, thanks for sharing.